The Pyrenees has a network of high and often very remote mountain refuges, which we use for overnight stays while trekking. This means you don’t have to carry enormous rucksacks full of camping gear or food! Refuges are a great resource when trekking and we use the catered ones (rather than the empty cabins), which offer simple facilities, with communal dormitories or sleeping platforms and good 3 course evening meals, breakfasts and packed lunces. Washing facilities are very basic, but there’s usually a beautiful mountain lake nearby for a refreshing dip! Refuges allow us to reach mountain wilderness and experience stunning Pyrenean dawns and sunsets. As well as using refuges for our trekking holidays, some of our walking holidays and ski-touring holidays involve a night or two’s stay at catered refuges. Refuges have become more luxurious than they once were reflecting changes in society. However refuges in the high mountains may still be pretty basic. By their nature refuges are remote there is often no road access to them. A consequence of this is that you cannot usually arrange to have a main bag moved between refuges for you. It is best to pick it up at the end of your trek and travel as light as possible for your comfort using the facilities of the refuge to replace a big pack (no need for camping gear, food etc.). The refuge guardians are usually great cooks making an amazing spread for the guests. They are however limited on choice in their menus due to the fact that they have to be re-supplied by helicopter just once or twice a season and carry in fresh produce on their own backs often from many miles away up mountain tracks. Consequently if you have special dietary requirements you will need to carry your own supplements as they do not have the time or resources to create separate menus for each customer. The more modern huts have relatively small dormitories now with may be 8 to a room however you may still come across the older style multi-occupancy bunks with maybe 20 to a room on two levels with narrow single mattresses side by side on the base. Cosy! Most refuges on trekking routes have showers. The high mountain refuges typically will usually not, as water is at a premium. Some refuges make an additional charge by selling a token that also limits the amount of time you get with the water so make sure you’re organised before putting in the token. It’s not much fun being all “soaped up” and running out of water! If you are staying on a half-board (demi-pension) basis then there will be usually a copious set evening meal. Typically there’s soup, a main course with plenty of carbohydrate in the form of pasta / rice and a dessert of some type, may be cheese. Breakfast is typically very simple and light, with a hot drink (coffee, hot chocolate or tea), powdered milk, bread or crackers, butter and jam. Most refuges will also offer good packed lunches, but remember to order this on arrival the night before. Remember that all the food and provisions for the hut are brought up from the valley, quite frequently by helicopter, which explains the elevated prices and limited choice. When you arrive at the refuge it is normal to leave your walking boots in the boot room and here you will also find hut shoes (Croc type things or similar) for wearing in the hut. You can if you wish carry some simple flip-flops of course in your sack. Don’t forget to bring a sheet sleeping bag or “sac a viande” as it’s known. These are now available in lightweight fabrics including silk and take up very little space. It helps keep the bottom sheet and duvet / blankets cleaner. Blankets or sometimes duvets and pillows are provided in the dormitories so there’s no need to carry a sleeping bag. It’s worth having some ear plugs with you in case there’s some snorers in the room with you. If you’re leaving early in the morning before day break it’s worth doing a reconnaissance of the departure route to avoid wasting time in the dark in the morning. Rubbish – you should take your rubbish with you as all rubbish has to be taken down to the valley or sometimes burnt. If you’re thinking of combining a MountainBug trekking holiday with another holiday in the region, we can hold onto large suitcases etc. for you before or after you move on. We’ve described below the refuges we use most often on our walks and treks but this list is in no way comprehensive. We’d also urge you to contact the huts directly to check when they are manned and to make a booking, if you’re thinking of independent hiking. Sits on the outwash plain of the north face glacier of the Vignemale – the highest peak in the French Pyrenees. It’s an awe-inspiring place to spend the night. It was refurbished in 2008, with smaller and more intimate dormitories in an already comfortable refuge. A little known, very remote, friendly refuge is right in the heart of the stunning Neouvielle nature reserve (the Pyrenean lake district), nestled between two lakes. It’s one of our favourites. It has limited facilities but an unbeatable location and great food. There’s a communal dormitory with sleeping platforms, or the exterior tent, which has bunk beds. There’s an outside spring for washing and a composting toilet. You may also like to freshen up at the end of the day with a dip at the en-suite lake beside the refuge. This recently renovated refuge has 10-man dormitories with bunk beds and hot showers. The refuge, owned by the commune of St Lary, is just beside the Lac de l’Oule, a dammed lake at the entrance to the Neouvielle Nature Reserve. It’s accessible by chair lift all year round from St Lary, so it acts as a winter refuge too in this sensitive environmental area, where the endangered capercaillie bird lives. Refuge de l’Oule also allows you to access the remoter eastern parts of the Neouvielle Nature Reserve. This large, classic Spanish refuge is in a strange karst landscape of limestone pavement and dramatic rock formations, at the head of the Ordesa canyon and the foot Monte Perdido, the third highest massif in the Pyrenees. It’s a welcoming, professionally run refuge, with plenty of food and drink, which is a real feat considering how many people visit it all year round. The refuge is currently undergoing renovation and extension which will result in a more modern and comfortable stay hopefully from some time in 2017. In the Ossau Valley, this refuge sits next to its own lakes. It’s manned from June to late September, and has 50 spaces. 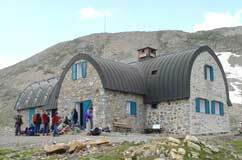 This refuge is manned from June to the end of September and is set at the foot of the Pic du Midi d’Ossau. To the East it offers amazing views of the Lurien-Palas-Balaitous region. It’s also a vital stop on the tour de Pic du Midi d’Ossau. You need to make a reservation and let them know about any cancellations. The refuge has 29 sleeping spaces and room for 16 in tents and a guardian from June to the end of September. It allows you to spend a night in the shadow of the towering Balaitous, in the heart of the granite wilderness of the high Val d’Azun, near the Lacs Arremoulit. At the end of the Valley de Marcadau, above Cauterets and the Pont d’Espagne, this 120 space refuge is reached through the pine forests of this beautiful valley. The refuge is large, with small dormitories and great views, giving access to memorable walks through the granite lake-lands and summits and the frontier passes of Mulets and La Fache. Lying below the mighty Vignemale, the highest mountain in the French Pyrenees, and the Hourquette d’Ossoue pass, the main route which goes from Cauterets to Gavarnie, Refuge Baysellance provides access to a range of stunning hikes and climbs. The highest serviced refuge in the Pyrenees, it was completely refurbished a few year back, providing 58 places for hikers from the end of June to the beginning of September. This refuge is situated at the foot of the Cirque de Troumouse, at the heart of the Toy Country, this basic but beautifully situated vital hut is the only place to stay in the Cirque du Troumouse. It provides good, traditional food and a warm welcome. It’s open from the end of May to the beginning of October. Closed/destroyed due to a fire. Just to the north of the Posets massif, the Pyrenees’ second highest, this is a privately run 70 space refuge in a great location. It’s opposite the Posets with great views. A warm welcome, good filling food and excellently situated between the Pico de Posets and the Bachi Mala. Set just below the frontier in the high Luchonnais, next to the large Lac du Portillon and the high passes which lead to the Spanish valley of Benasque, this refuge has 80 places. It’s open from mid-June to mid-September. 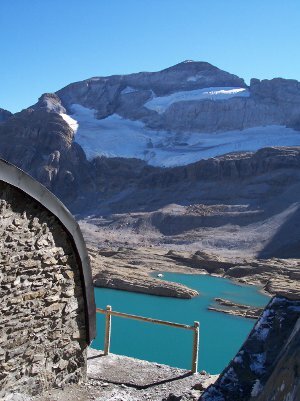 At the foot of the Pyrenees’ highest massif, the Maladeta, and its highest peak, Aneto (3404m), this busy, professionally run hut, provides access to the summit itself and a variety of other stunning walks. It has 110 spaces. Booking is essential. 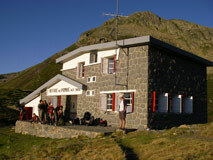 This refuge is an important stage between Aneto and the Catalan massif of Aiguas Tortes. It has 42 places and is open all year round. On the northern edge of the Aiguas Tortes massif, looking out over its lake, the hut gives access to the popular Mon Doto peak and the northern lakelands of the massif. It has a guardian in the summer only and has 80 spaces. Beautifully situated above the Black Lake (Estany Negra), opposite the 3000m peak of Punta Alta, this superbly situated refuge is small with a steep rocky slope down to the black lake, surrounded by granite walls. It’s at a cross roads of paths coming in from different directions, providing a vital link between the north and south sides of the Aiguas massif.